The whole point of marketing your plumbing business online is to increase traffic to your website and to gain more leads from it. Organic search engine optimization (SEO) includes all the methods utilized to grow your business online without paying for advertising. Pay per click (PPC) is paying for advertisements to be placed at the top of search engine results pages (SERP). The long-term goal of all of your online marketing should be able to make it to the top of your local plumber searches without paying anything extra. Any organic SEO consultant can tell you it is important for your plumbing business for a few reasons. Adaptability Organic SEO tactics are adaptable as time moves forward, while paid methods are set when you begin the campaign. Efficiency Organic SEO is cost efficient because it is a series of steps you take to get higher SERP rankings. While you may pay for optimization, you aren’t paying for advertisements. Sustainability Once your plumbing business makes it to the top of local plumbing searches through organic SEO, the only way to lose that spot is to stop optimizing, or if you shut your business down. Visibility Organic SEO tactics will get your plumbing business website in front of more people over an extended period of time. It’s best for long-term growth. Our Writers Research Local Keyword Trends To Improve Your Plumbing Business’ Organic SEO. Organic SEO is a series of operations that help get your plumbing website higher in Google rankings than your competition. While the first two or three company names you’ll see are labeled as ads because someone used a PPC campaign to get their business posted there, the next businesses all got to the top of the search results by having fully optimized websites and content that offer unique and valuable information in a user-friendly and efficient manner. Proper organic optimization methods save you thousands of dollars while still getting your plumbing business ranked higher on Google search results. 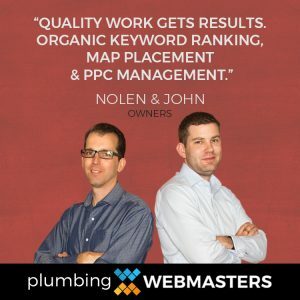 Plumbing Webmasters helps drive traffic to your website and increase your online leads through organic SEO tactics. For more information about what organic plumbing SEO does for your business, contact the Plumbing Webmasters at (877) 388-9884 for more details today! One of the best ways to help improve your plumbing businesses organic SEO is to examine your competition in the area. If there is a small plumbing business that is succeeding where other businesses are failing, we examine their online strategy to find out what’s working for them so we can put it to work for you. We determine the best keyword placement and optimization strategy to give you an edge over your competitors. Our strategies are designed to fully optimize your site for maximum organic growth and long term gains so you can leave your competition behind. Proper Organic Seo Gets Your Business to the Top of Google SERPs over Time. How Much Should You Spend on Plumbing SEO? The best organic SEO services for plumbers are cost-efficient. You shouldn’t have to look at your monthly expenses and wonder whether or not the SEO service you’re paying for is worth it for your business. With that being said, it honestly depends on your business and how much making it to the top of your local plumbing service search results is worth to you. You have to weigh the costs of all of your combined ads, including PPC campaigns and social media ads, organic SEO methods, and how much you pay your plumbers and other employees to work while waiting for leads. The entire point of building your business with SEO is to get more leads. If your employees have too much downtime, then it may be worth it to put some money into organic SEO for your business in an attempt to bring in more business. If you do decide to invest in organic SEO for your plumbing company, pick a team of experts that have years of experience performing search engine optimization for plumbing contractors. When you make the decision to start your path to organic SEO success, you should choose a service that is completely comprehensive. That means letting companies like Plumbing Webmasters worry about your online presence while you take care of your plumbing business’ and clients needs. When you hire Plumbing Webmasters, we take over your online social media activity and business directories like Yelp in an effort to promote your business to potential customers in your primary service area. That’s because we employ a team that is fully dedicated to improving your online presence. That means web coders, graphic designers, and content writers will all be dedicated to optimizing your presence for greater search engine success. We offer different plans to fit every business’ budget. Call Plumbing Webmasters at (877) 388-9884 to learn more about how organic SEO grows your business today! Who Should You Trust For SEO? The SEO experts at Plumbing Webmasters have been learning about and perfecting organic optimization strategies for years. Google updates their algorithm several times every year to punish websites that use black hat SEO tactics. These updates punish all parties that violate content policies, regardless of if you knew you violated the rules or violated them by accident. Another problem with these updates is that it usually takes a while for Google to catch perpetrators. Some cheaper SEO companies might try to lure you in with the promise of cheap SEO. They will probably deliver on this by violating Google policies on your website and in your content. You’ll see a short term boost in website traffic, but Google will eventually penalize your website. At that point your SEO company may have taken your money and run, leaving you with a damaged online reputation to try to recover from. Not every cheap SEO option practices black hat SEO, but why take the risk? At Plumbing Webmasters, our dedicated team of coders, graphic designers, and content writers are standing by to optimize your website and improve your local leads. Contact the SEO experts of Plumbing Webmasters at (877) 388-9884 for more information about using organic SEO strategies to grow your business. Google has a definitive list of prohibited SEO practices. Black hat SEO will get your website penalized sooner or later. Every update Google has made over the past decade was to bring quality content to users who needed it. They wanted to give websites with unique, user-friendly, and valuable information to users searching for it. For instance, the Google Penguin update cracked down on keyword stuffing and link building schemes. 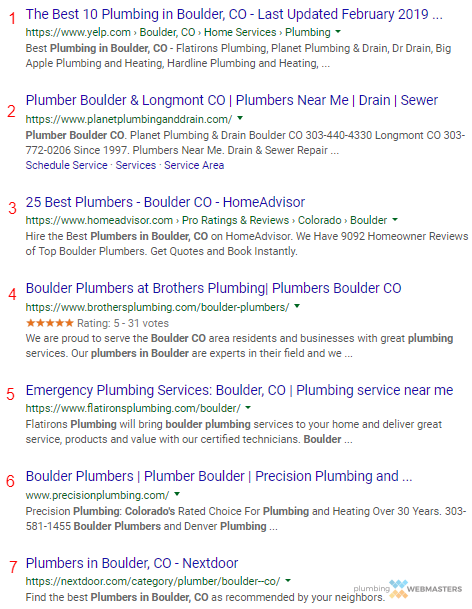 Plumbing contractors who throw random or repetitive keywords in unnatural places have their content devalued by Google, while contractors who use proper organic SEO methods are rated higher. Properly optimized content ranks higher on other search engines as well, so when you optimize your website for Google, you’re also optimizing it for sites like Bing and Yahoo. Plumbing Webmasters offers full SEO services as part of our comprehensive content management service. When you hire us, we build you a fully customized website with locally optimized content for your service area. 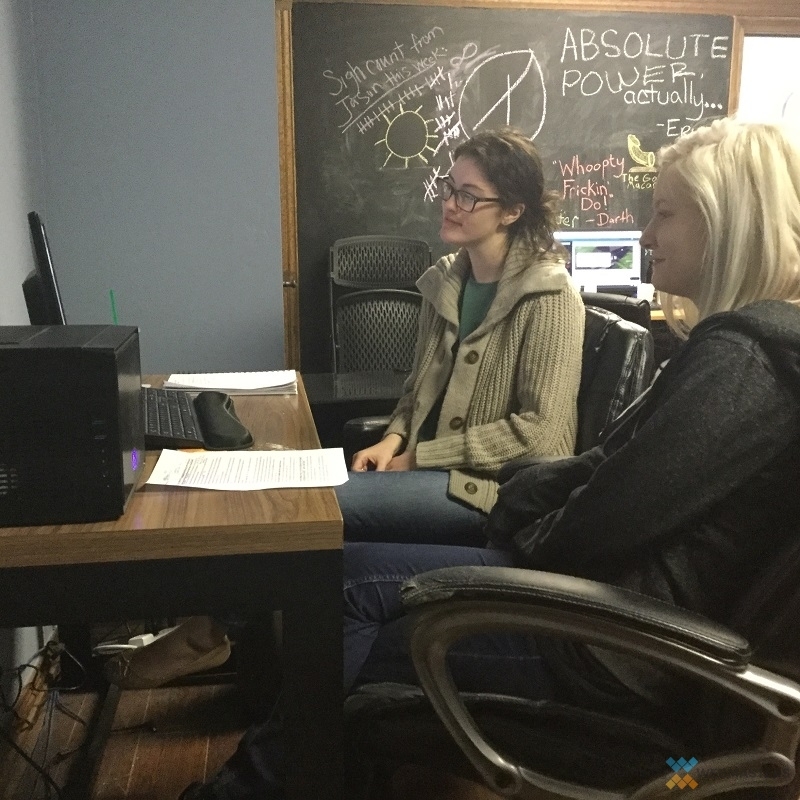 We also get to work researching proper keyword strategies for your business. Call Plumbing Webmasters at (877) 388-9884 for more information about how proper organic SEO helps grow your plumbing company. The algorithm is constantly changing, and keyword volume and optimization changes with it. 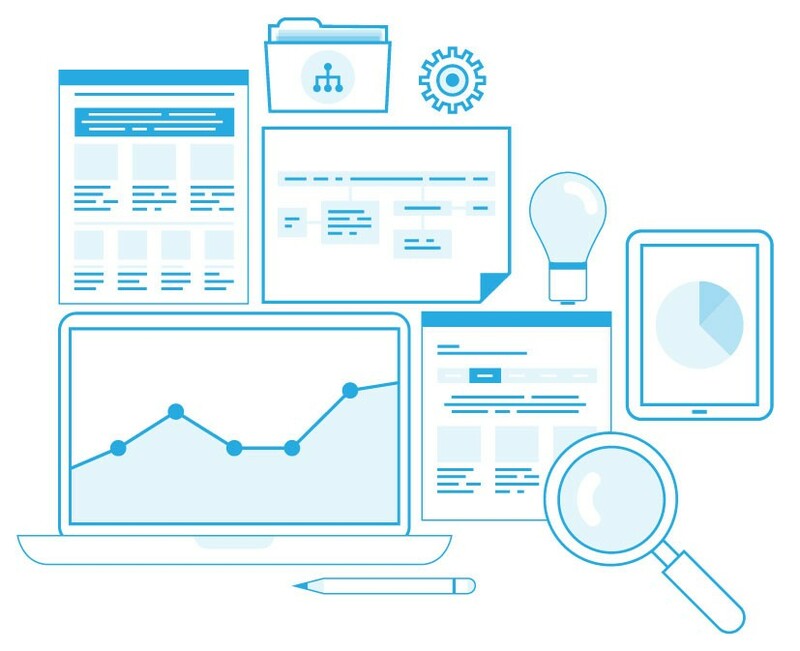 Your SEO team needs to stay on top of your constantly changing optimization needs. That’s why you need a dedicated team of experts like Plumbing Webmasters. We offer comprehensive content marketing services that include organic SEO for your plumbing contractors. We localize all the content we produce for you while customizing your website. When trends in your service area shift, we notice and change your content based on emerging patterns. Our service includes an internal blog for your website. All of our blog posts contain valuable seasonal and local information. That means if your business is in Michigan and you are experiencing record low temperatures, our blog posts will incorporate that in some way. We may post an entry titled “How To Keep Your Pipes From Freezing” as a way to connect with locals experiencing or concerned with this issue. We have different marketing management plans available for your business and will work with you to meet your plumbing companies budget needs. Our team also optimizes your site and all content for all platforms and devices. That means your site is accessible to anyone looking for routine plumbing or using their mobile phone to frantically search for emergency plumbing service in your area. This includes optimizing your online content for virtual assistants and voice recognition software in case someone reads their web search phrase to a program that will conduct the search for them. Your organic SEO needs to meet the needs of an ever-changing community. At Plumbing Webmasters’ we stay on top of emerging trends in both SEO and the plumbing industry. Contact Plumbing Webmasters at (877) 388-9884 to learn more about how adaptable content and SEO increase your company’s web presence. Your conversion rate is your key defining trait for success. Your ability to convert website traffic into a sale or a client is the best tool to measure the benefits of your organic SEO. The entire point of organic SEO is increasing your leads and your conversion rate, so that’s what most optimization tactics are based around. Websites that use HTTPS over HTTP, or that have 404 errors, affect your Google ranking and overall optimization. Google ranks sites that use HTTPS, or Secure HyperText Transfer Protocol, higher than sites that use normal HTTP. At the same time, websites with 404 errors lose value according to Google’s algorithm. That’s because 404 errors negatively impact user experience, and one of the key components of Google’s quality content guidelines is how user-friendly it is. When you hire Plumbing Webmasters, we worry about these things so you don’t have to. We use HTTPS for your website and ensure that every link is working. If something happens and one of your pages goes down, call us and we’ll fix the problem if it’s on our end. We offer high quality and comprehensive content management and online marketing to boost your conversion rate. For more information about your business’ conversion rate, contact Plumbing Webmasters by calling (877) 388-9884 today! Updated on April 11, 2019 at 2:35 pm by Plumbing Webmasters.